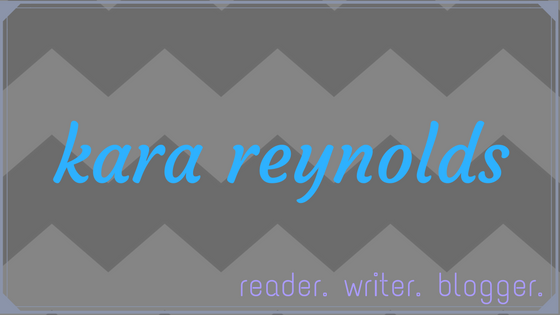 Kara Reynolds Writes: Meet the YA Champion of Query Kombat 2018! 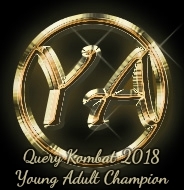 Meet the YA Champion of Query Kombat 2018! Jessica currently lives in northern Texas, where she spends the vast majority of her time huddling next to AC vents. Whenever her two deliciously squishy children are sleeping, she can be found typing away at YA fantasy stories or voraciously tearing through the latest bestsellers. She eats way too much peanut butter (Skippy on a spoon, thankyouverymuch), is obsessed with Insanity workouts, sings her guts out at every opportunity, and doesn't think there's anything more satisfying in the world than a well-placed comma. Having earned her Bachelor's degree in English with minors in French and editing, it's safe to say she's a lover of words and doesn't see that stopping anytime soon. Eighteen-year-old Alora Delattre should have been burned at the stake. Her power to possess others’ bodies is an ability condemned by scripture as the deepest form of corruption. Her father, the head of the church that would execute her, should have been the one to set her aflame. Instead, he hid her. Then her mother is murdered by a heretic rebellion, and suddenly death by fire seems like a small price to pay for revenge. She takes over the body of one of the rebels, determined to hunt the killer down and make him bleed. But what she finds in their camp changes everything. For the first time, she sees her benevolent father through the eyes of the people whose blood he has spilled and whose families he has torn apart in the name of righteousness. And then there’s Chet, the quiet, passionate, maddening leader of the rebellion who she swears can see right through her even though he’s blind. She’s risking everything letting him get close—especially while she’s wearing another girl’s skin. But Scythe, her father’s young, magical tracker, is on her trail and closing in fast. Alora must choose: get the revenge she craves by hauling Chet and his crew to the execution stage, or lead the crusade against the most terrible dictator her world has ever known—her own father. SONG OF THE VULTURE is a YA fantasy complete at 96,000 words. It is a multi-POV novel with chapters from Alora’s, Chet’s, and Scythe’s points of view. The possession aspect hearkens back to Stephenie Meyer’s The Host, while the father-daughter relationship and the romance will appeal to readers of Marie Rutkoski’s The Winner’s Curse. You will burn, little vulture. Your secret will be discovered, and your body will crumble to ash. Alora knew the pyre couldn’t speak, knew the words were in her own mind, and yet the threat still raised the hairs on her arms. The pyre’s great pole shone white as a bone over the housetops behind her. Every time she and Kirsi snuck out of the temple like this, that pole watched her dart from shadow to shadow, followed her around every corner, waited for her to slip up so she could finally meet fiery death at its feet. Alora glared over her shoulder, aimed an obscene gesture in its direction, and continued on her way. Hooves clattered on the cobblestones behind them, and Kirsi shoved her into the nearest alley, cursing. They ducked out of sight an instant before the guards rode past. Alora’s heart thundered in her ears. Kirsi’s dark eyes flashed as she tugged her hood to shroud her pointed nose and deep olive skin. “How in ash do you manage to talk me into this every stupid time?” she hissed once the hoofbeats faded. “Come on,” Alora replied, breathless. “Dodging them is half the fun.” She pulled Kirsi back down the road. Faster now. The sooner they got to the Frosted Vulture, the better. Keeping to the darkest parts of the city, they reached the slouching remains of an abandoned shoemaker’s shop a few hours after midnight. Meet the Grand Champion of Query Kombat 2018! Meet the Adult Champion of Query Kombat 2018! Meet the MG Champion of Query Kombat 2018!